Why using Code for Infrastructure? Infrastructure as code is a way to define Compute, Network and Security infrastructure through source code. Such code can be kept in source controlled environment to allow deployment of tested infrastructure avoiding lots of human mistakes. 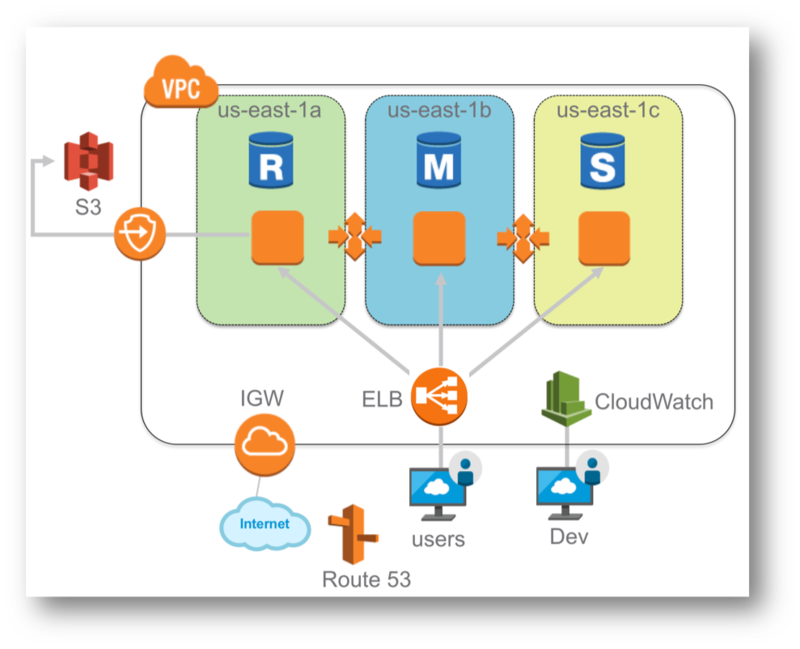 It is becoming a very strong trend in our industry for pushing Network, Compute and Security infrastructure to cloud providers like Amazon Web Services. 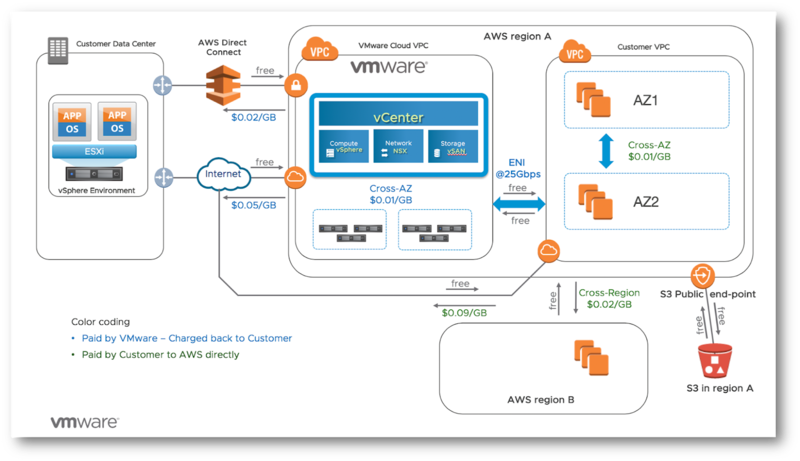 This article describes the use of Terraform to build the infrastructure for my VMware NSX Cloud lab in AWS. Terraform enables you to create, change, and improve infrastructure. 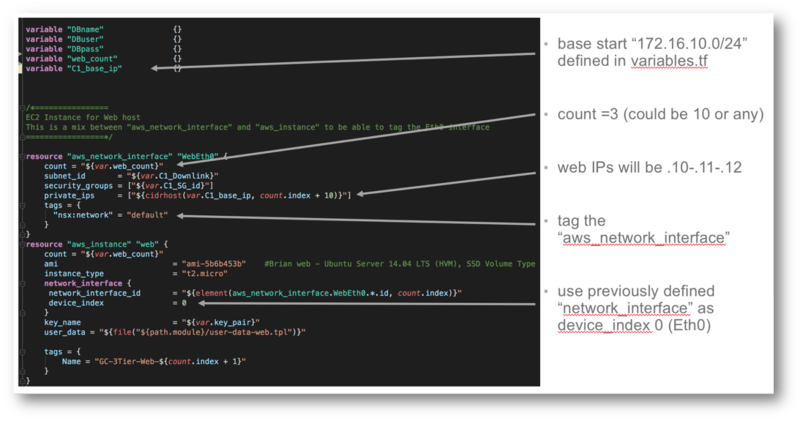 It is an open source tool from Hashicorp that codifies APIs into declarative configuration files. 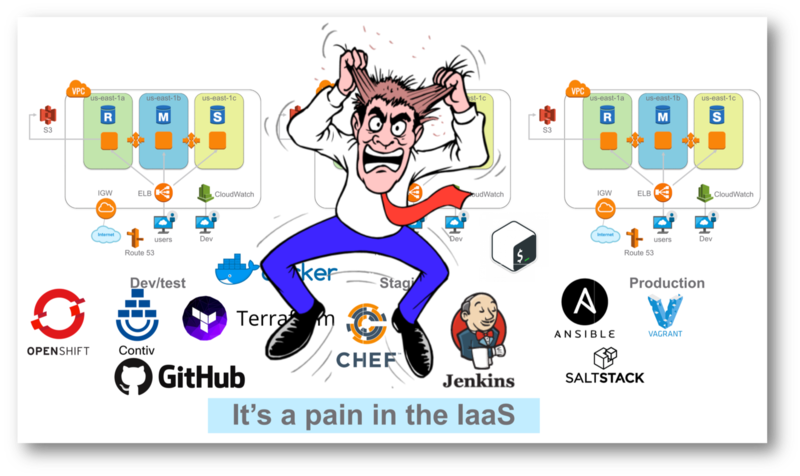 The idea for my lab is to build the AWS infrastructure with Terraform and configure it with Ansible. 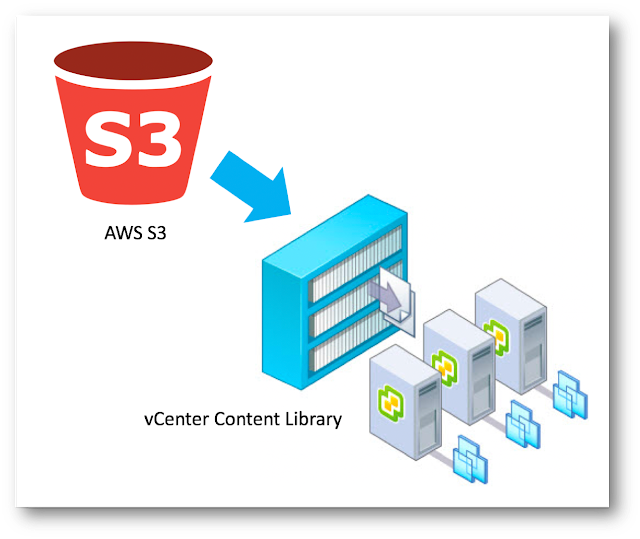 I am using VMware NSX Cloud as an example of how we can create the proper AWS VPCs, rules, gateways, load balancer, 3Tier application using native AWS RDS and then configure the servers/database with Ansible. What is the compelling event for doing that? 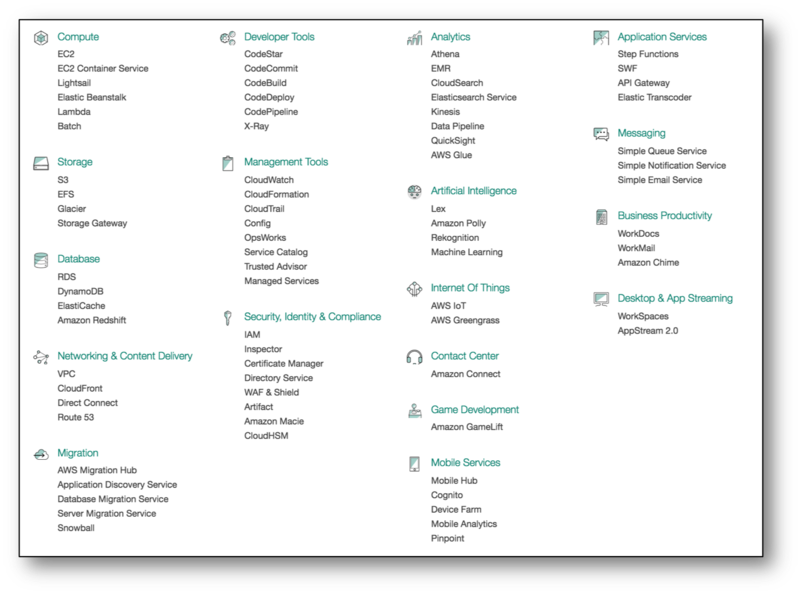 When you log in AWS console, you will see so many options and you realize that a lot of "learning" has to be done. Soon you start your first EC2 instance. Nice!! But then you realize that you need much more . . .
. . . It's becoming complicated !! 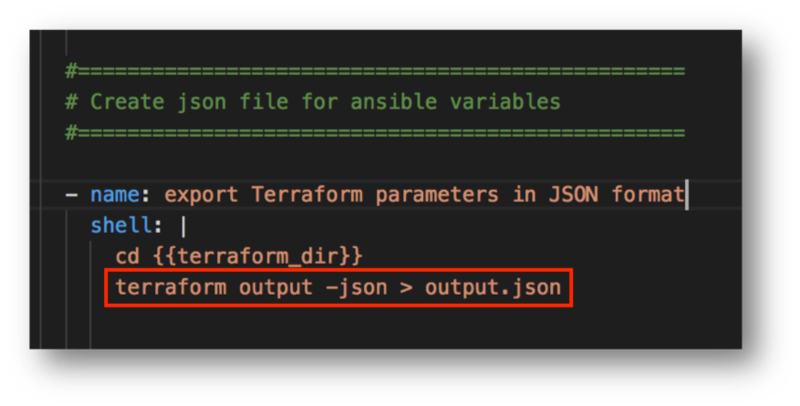 Terraform will help us to build code to deploy and manage our infrastructure. Terraform creates execution plans. There is a planning step before generating an execution plan according to what is already running. There is a possibility to create a graph of all resources and this is built as a dependency map. Terraform keeps a STATE of what is already deployed and applies only changes to the infrastructure. 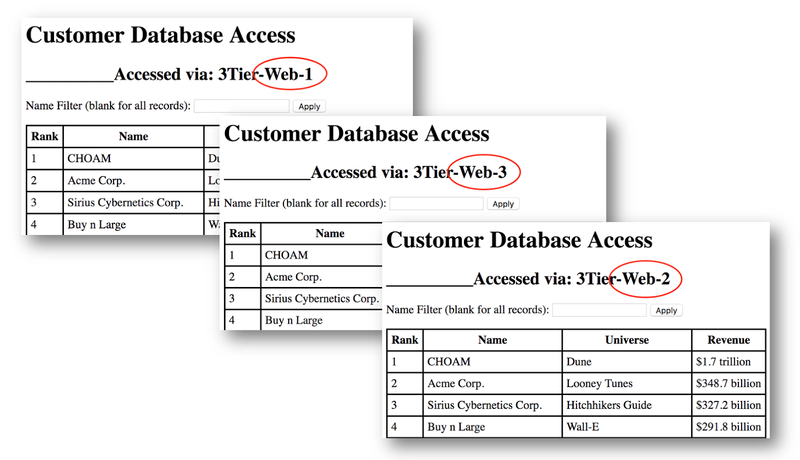 This file is also one single place for all variables definitions like Compute1 and Compute2 subnets, RDS subnets etc. HCL code is very easy to read and understand. Run terraform from main directory. vRNI credentials etc. . .
and include this file as variable for Ansible playbooks. 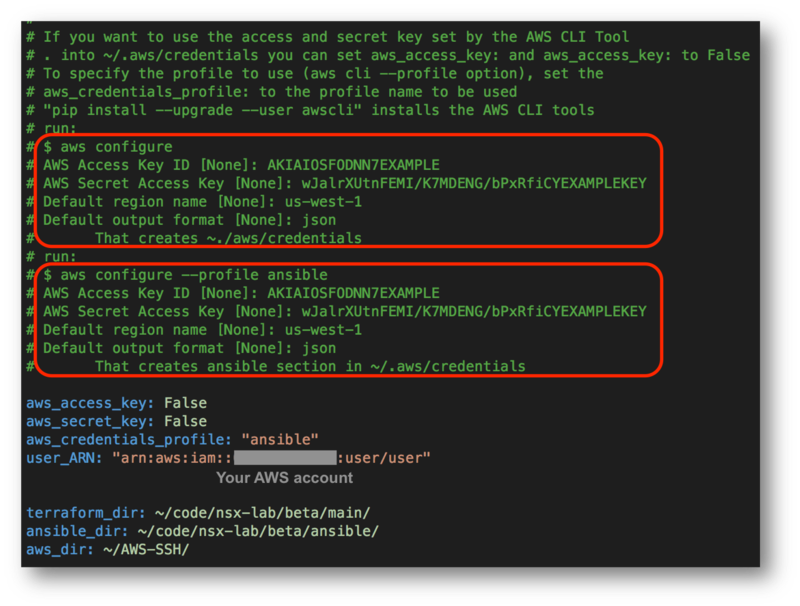 read the file comments and run aws configure command line. 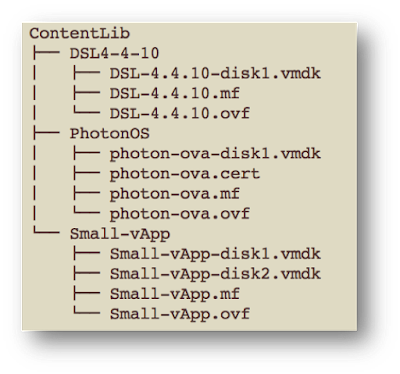 You can add –v or –vv or –vvv for different debugging levels. 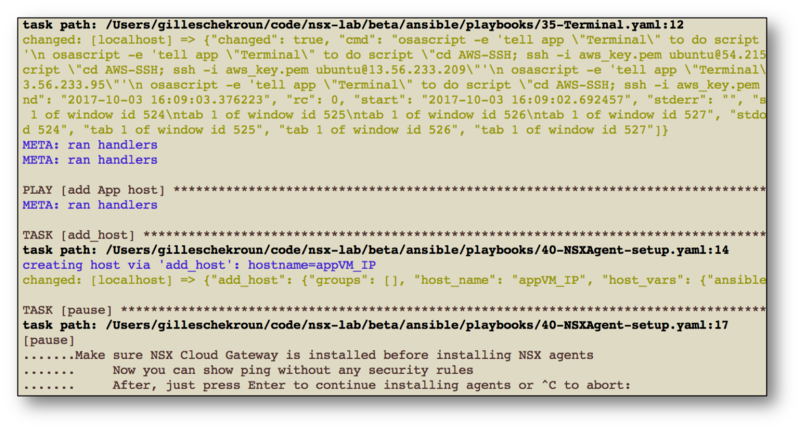 The main play-book is deploy-lab.yaml. It contains the files for other modules. 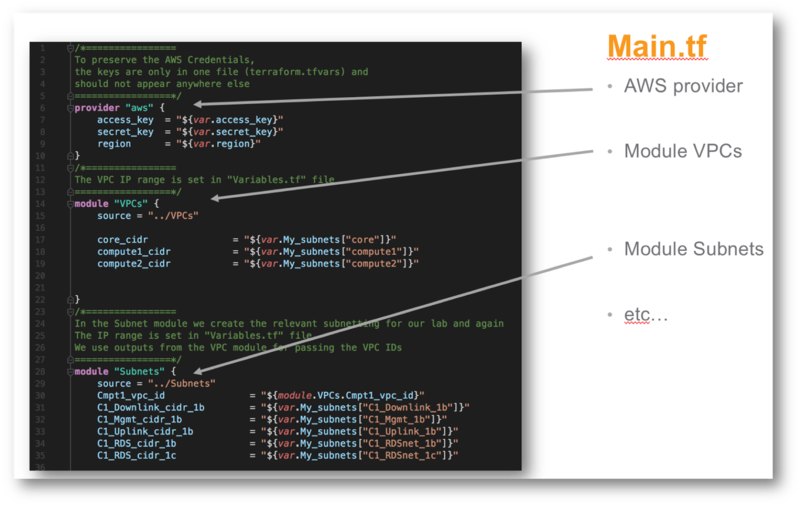 After a few minutes, Terraform code is applied in AWS and we get the output variables. If an output is sensitive, it can be hidden like DBpass for example. 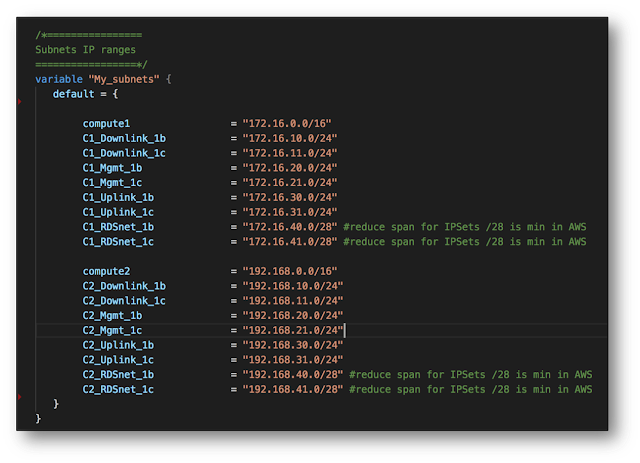 This output will be converted to JSON format for using in Ansible. Note the 49 resources added. 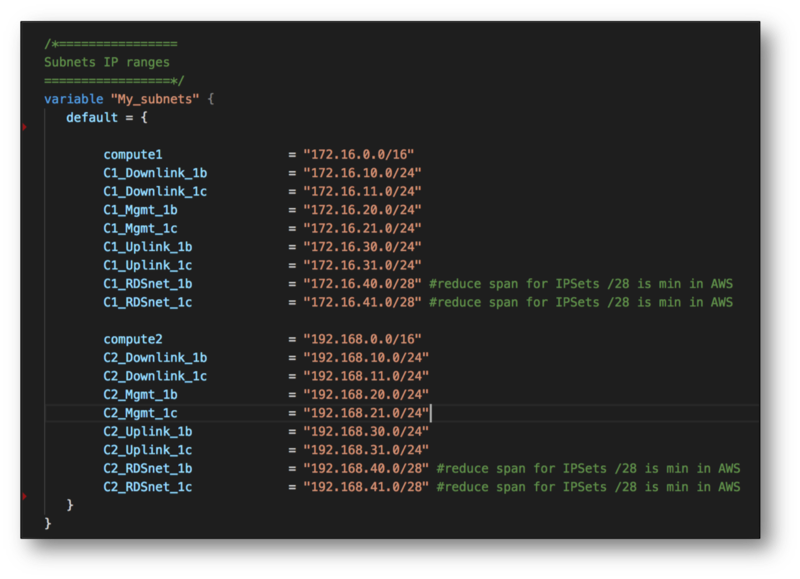 Once the infrastructure is deployed, we can run our Ansible playbook to configure it. 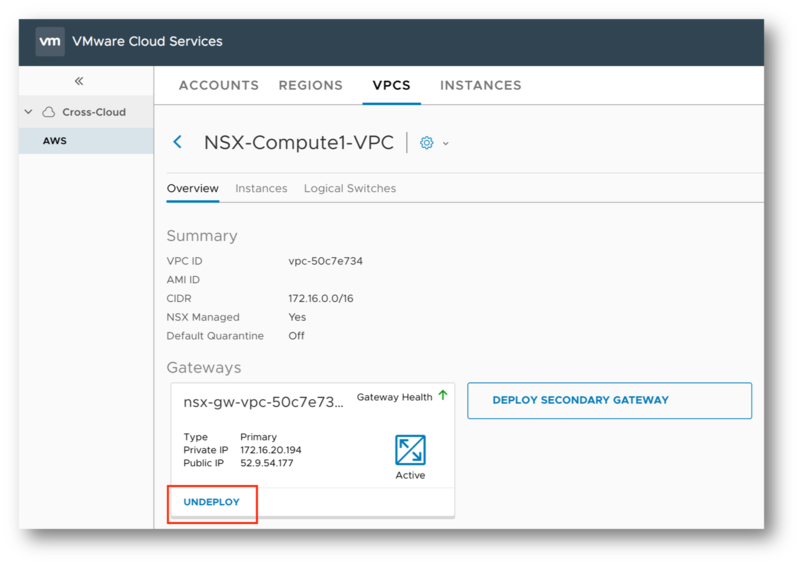 The main playbook will pause so you can deploy Public Cloud Gateway for NSX before installing hosts agents. 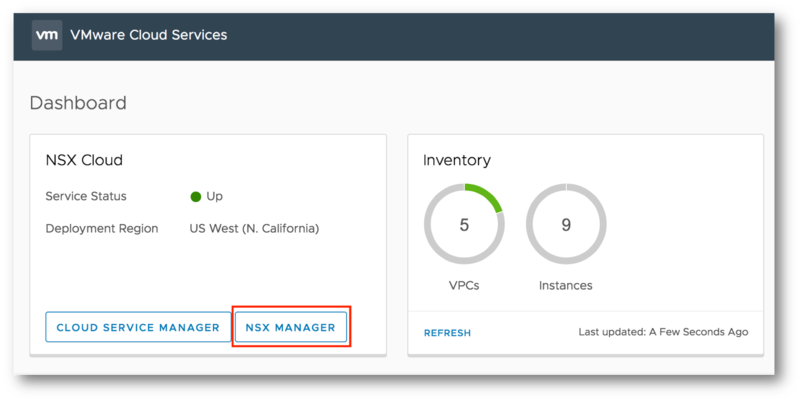 On the NSX Cloud dashboard, select NSX Manager. 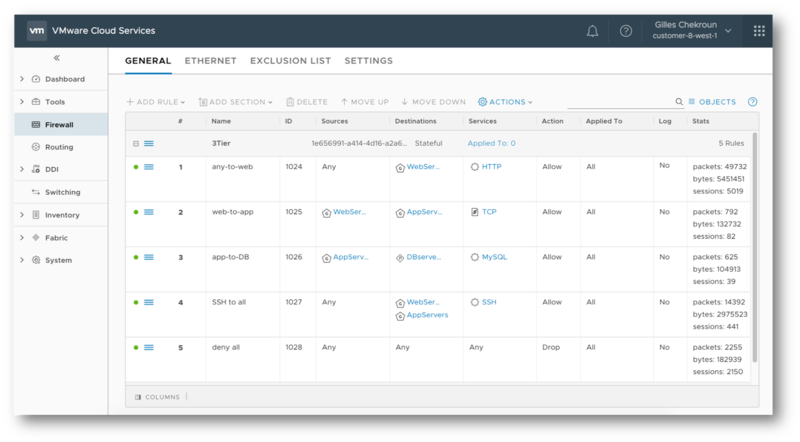 Select "Switching" / "Ports" and check that all our instances are NSX managed. 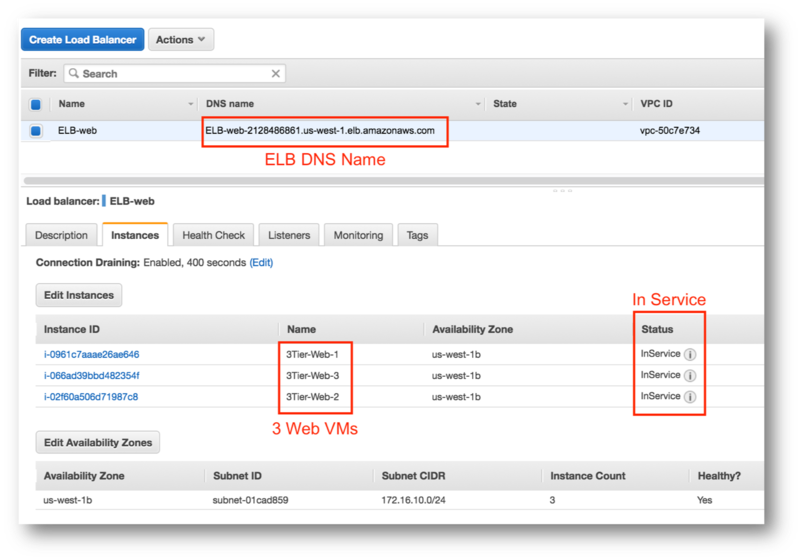 Check our Elastic Load Balancer . . .
. . . and verify the Web servers side. Update the NSX DFW rules if necessary. 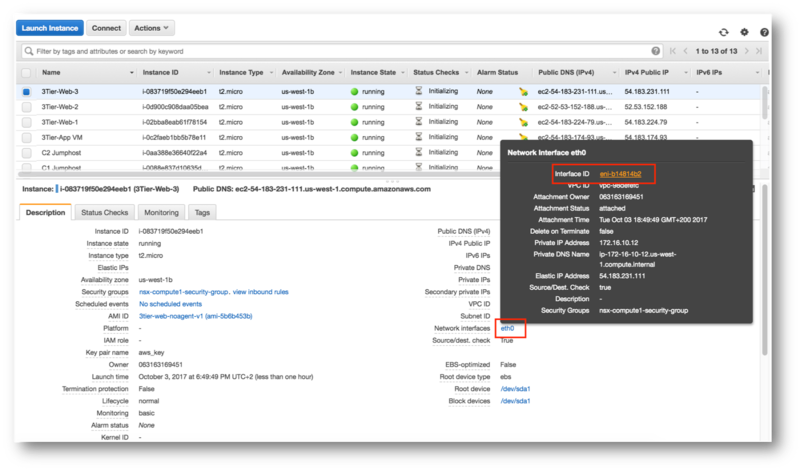 Untag the Eth(0) interfaces or terminate NSX managed EC2 instances. 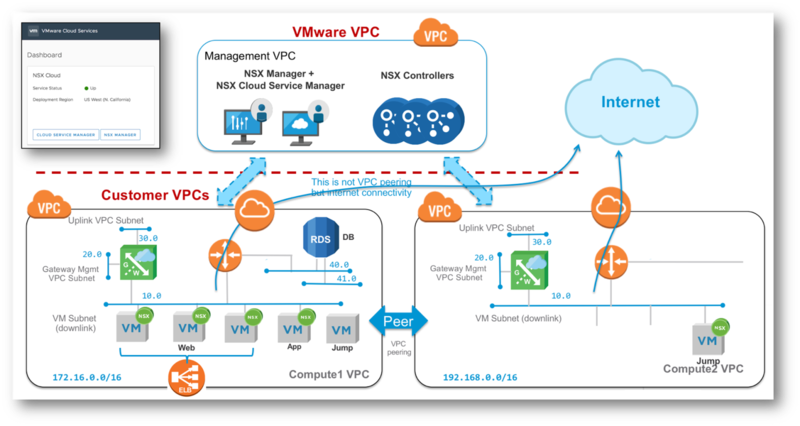 Un-deploy NSX Public Cloud Gateway. 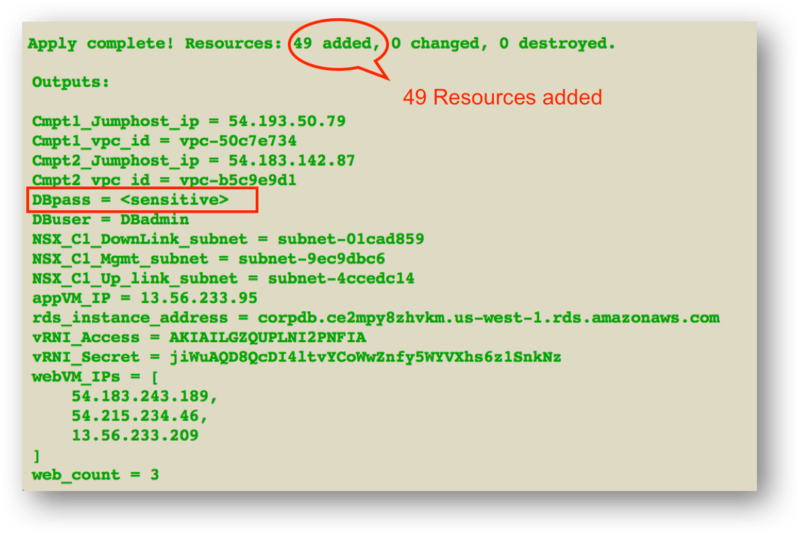 Run terraform destroy -force command to wipe AWS resources. Note the 49 resources destroyed.